Flash management has become more important as vendors push the cost of flash down by using less expensive (and less reliable) flash media. 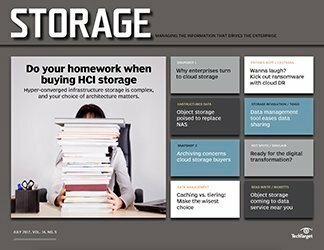 But with so many ways to implement flash storage technology, it can be a bit overwhelming. 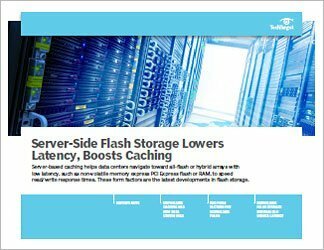 One popular approach uses the flash storage as a cache for hot data, but there are a number of different -- yet equally beneficial -- approaches for flash caching today. 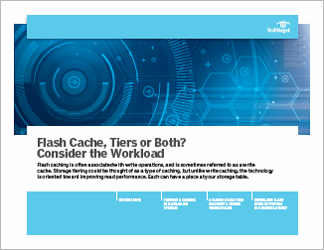 In this three-part guide, you'll learn the pros and cons of flash caching, which stores a copy of data temporarily in NAND flash-memory chips, and flash tiering, which moves data exclusively to a flash tier, where it sits for longer periods of time. 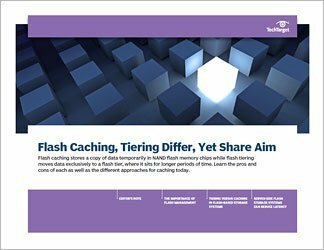 This guide on flash caching and management compares the different approaches for flash caching today, compares it with flash tiering, discusses the strengths and weaknesses of each flash storage technology approach, and more.